A research paper can be a master’s thesis, doctorate dissertation or even a term paper in your fashion or design university. Irrespective of the nature of what you are writing, you still have to give it your best shot. But let’s be realistic; research papers are demanding tasks because you are turning many years of research into a single and coherent piece of work. That is the same thing people who offer research papers for sale go through too. But saying research paper writing is a tough task doesn’t mean it’s not something you can handle. Here is how you can finish your academic project strongly. You should never assume you know the requirements before you start writing. Check properly and ask questions to have a better understanding of the instructions. It will help you save time and avoid making unnecessary alterations to your paper. If the supervisor asks you to write a Ph.D. thesis of 300 pages long, understand it has to be double-spaced. If you are not sure of this, don’t be shy to ask. The general Ph.D. thesis usually contains eight chapters and is also 300 pages long. It should also be double-spaced. Technological advancement has made academic lives of students an easy one. Compared to past years, students can now multitask and get tasks done in a short time and with little effort. And you will find myriads of tools designed for different purposes. Trello is one of the many reliable project management tools that allow you to organize your task and work on them effortlessly. It makes complex tasks easy to manage, giving you the opportunity to create boards wherein you can pin all outstanding tasks, concept and even deadlines. With such tools, you can accomplish much because it will cause you to focus attention one task at a time. Plus the feeling of moving notes into the done column alone is motivating. Trello i one of the many tools that can make your research paper writing task a breeze and cause you to finish strongly. Your research paper will raise other unanswered questions, have this in mind. Never ignore such questions when writing, as doing so will only make your supervisor feel you are lazy and question your character and commitment to the program. Once you can pinpoint the unresolved questions, mention them in your conclusion as issues that need further investigation. That way, nobody will accuse you of providing ignoring the obvious. Research paper writing is not a task you can finish in one day. You need to remain consistent, patient and work smart. In other words, there are days your brain and body will be too tired to write as little as 500 words. You can use those periods for something else if you feel the need to work so you can meet up the deadline. The point is to take on tasks that are less stressful on days when your body or brain is tired. You can check your quotations, citations, bibliography or even edit your paper manually to make the final editing less time-consuming and stressful. Have in mind that you are making progress with every little effort you put into your research paper writing. 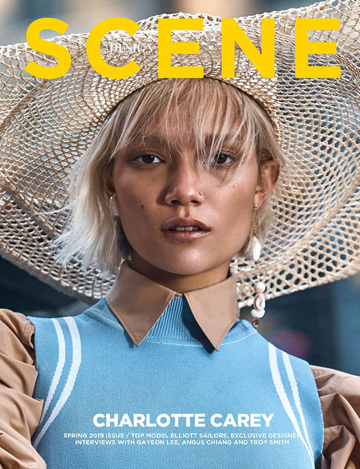 Make sure to stay on top of the latest in fashion and design, browse through top web pages and grab the latest renowned fashion glossies from your newsstands. There is no point in writing a comprehensive and lengthy conclusion. Concise is always better. The more you write, the higher the tendency to provide unnecessary details, which is not the best option for an academic paper. Conclusions are not the right place to including details about results and methodology. And even when writing summary of things learned from the research work, you still need to make it as brief as possible because the emphasis when writing a conclusion is usually on the evaluations, implications, insights and other analysis made. When it comes to research paper writing, you need to learn to handle rejections and negative comments. In other words, expect the worse from your supervisor or colleagues. Not everyone knows how to make constructive criticisms. But you should never let anyone’s negative remark to weigh you down. An easy way to handle rejections is to expect them. Also, take them as a challenge and prove a point with your hard work. It is advisable to make friends with people who will motivate and assist you mentally and otherwise. And it will also be better if they are the same program as you. Each of you will have something to contribute that will benefit everyone and make the writing less challenging. So, for the sake of your research paper, consider changing your peer group. In other words, make friends with people who have the same drive as you. But have in mind that not everyone is affected by negative peers. If you are disciplined, you can handle such situations. The fact that you are writing your research paper for the first time should make you find an academic coach to avoid confusion and challenge that beginners face. Even after showing desperation in the beginning, most students still find it challenging to complete their papers. On the other hand, issues like this are usually as a result of procrastination, lack of measurable goals and even isolation. However, an academic coach can help you accomplish your research paper writing tasks effortlessly. Most of the time, you will receive short assignments and deadlines, which will motivate you to finish up strong. According to an homeworkhelpdesk.org expert, using professional assistance can help students to speed up their writing project. Research paper writing is a demanding task that’s why many students run away from it. But the process can only be more challenging for students who are not prepared mentally and otherwise. The tips on this post will help you position yourself to complete your research paper strongly and impressive your supervisor. All images from DESIGN SCENE Style Story starring Maxim by Alexander English & Callum Vincent – discover the full session.